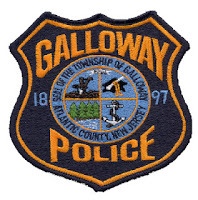 Galloway Police responded to the Smithville Jeweler located in Historic Smithville Village on August 21, 2013 at 3:48pm for the report of a jewelry theft in the amount of $2,000. The accused, Marilyn A Mazzella of Staten Island New York took several items and fled the store into a vehicle she had waiting North on Route 9. Mazzella and her vehicle were located by responding patrol officers shortly after the 9-1-1 call was put out. Mazzella resisted arrest while being taken into custody and was also found in possession of illegal prescription narcotics. All stolen property was subsequently recovered and turned over to Smithville Jeweler. Mazzella was lodged Atlantic County Justice Facility default of $7,500 full cash bail. Officer Gary Brenner and Officer Steven Garrison are the investigating Officers.